YouTube is one of the most influential social media channels that can help a business get the eyeballs and attention it needs to make it big in the highly-competitive digital world. It has got mass appeal but if you want to make the most of this video sharing site, you also need to keep a watch on what your audience is posting. This is to say you need to moderate their comments, which is easy with the new moderation features of the site. It allows you to remove offensive and irrelevant comments in minutes. All you have to do is follow these steps. 1. Add comment moderators by inviting the people that will help you in reviewing the comments. Just go to Creator Studio, click on the Community tab and then on the Community Settings tab. Now enter the YouTube channel URL of the user and the moderator is ready to work. The advantage with this setting is that the comment is not deleted permanently. It is held for review and you take the final step. 2. Customize moderation settings to approve users so that their comments will get automatic approval. You can block specific words using automated filters and also hide troublesome users from their comments. This is also done from the Community Settings tab and you can decide whether you want the comments to show up or held for review before they are published. 3. Moderate comments just by clicking on the dots icon next to the comment of the user. You can remove or report spam or hide user from your channel as well. 4. 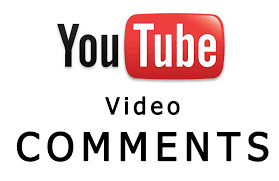 If you want to disable comments altogether from your video, you can also do so but it will also disable the useful comments. You just have to uncheck the Allow Comments box on the Advanced Settings tab that you can access by navigating to the video through Creator Studio and clicking Edit, mentioned next to it. The platform you plan to upload your video on is important in order to know how to craft your video and how long it will be. Because (for instance) while Instagram will only allow you to post 3-second to 15-second videos, Vine lets you post videos upto 6 seconds in length, and YouTube allows you to post videos of any length. Similarly, how the video will look and what its dimensions are, based on the channel you choose, will affect the kind of video you need to shoot. Before you shoot your video, shoot the first 10 to 15 seconds of your video and then transfer it to your computer to see how it looks. This way, you can check if the light, dimensions, environment (and even the background sound, if applicable), is appropriate for your video. 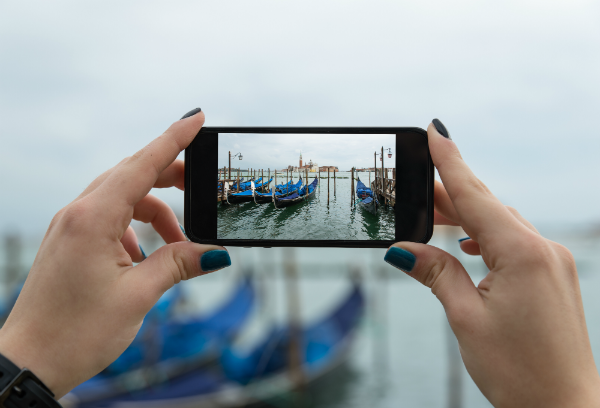 You can also opt to either use video-related apps when you’re shooting with your smartphone, or simply use your smartphone camera on its own to shoot your video. Like you pre-tested your video to check if everything was in order, check the video after you finish shooting as well. Editing your video to polish it is recommended. And always keep backup copies of both your original video as well as your edited version(s) – just in case you need either later. 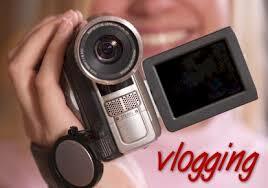 Contact SEO Freelancer Mumbai For YouTube Video Marketing @+91-8451924760 or yogesh@seofreelancermumbai.in Now! 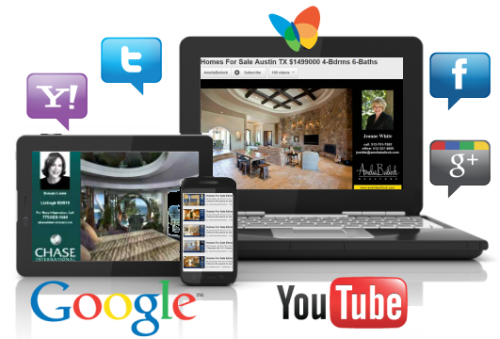 Online videos are not only good for marketing and brand-awareness purposes. They can also help increase product sales, aid customer satisfaction, and improve customer services as well. Videos ads act as marketing and advertising tools. But more than that, with the popularity of online videos on a constant high at the moment, video advertisements are more effective than ever. In fact, even video ads made with online video tools (like PowToon and the like) are enough to interest customers and increase sales. Plus, online videos that are shown on social media and websites alone work just as well as (if not better than) video ads shown on television (and they work out much cheaper too). Video ads, thus, greatly increase your chances of product purchases and overall profits. With users preferring a personal touch in all aspects nowadays, showcasing video testimonials of your customers are supremely effective in increasing sales for your business. Such videos don’t have to be over-polished either. Simply asking a few customers at an event for your business what they think of your product is enough. You can even record some of your consumers’ testimonials using online video recording tools, if they are willing. Just like you can use product demo and product walkthrough videos to teach your customers how to use your product, you can also use videos to answer frequently asked questions (FAQs) or service queries regarding your product(s). In fact, such videos are often clearer and more effective than regular text content in answering common questions. You’ll also effectively reduce the number of cases your customer service people will have to handle directly with such videos, thereby giving them more time to answer to the tougher cases. And better customer service leads to happier customers, which leads to better reviews of your business and, in turn, better sales prospects. Contact SEO Freelancer Mumbai For Online Video Marketing @+91-8451924760 or yogesh@seofreelancermumbai.in Now! How To Optimize Your Videos For YouTube Searches? Videos are a must today for any marketing campaign. However, that’s a tip every business is aware of at the moment. So now, the real challenge is how to ensure that your video actually shows up in the relevant searches. In addition, people don’t search for relevant videos on Google or other search engines much anymore. Rather, they go straight to the source: YouTube. 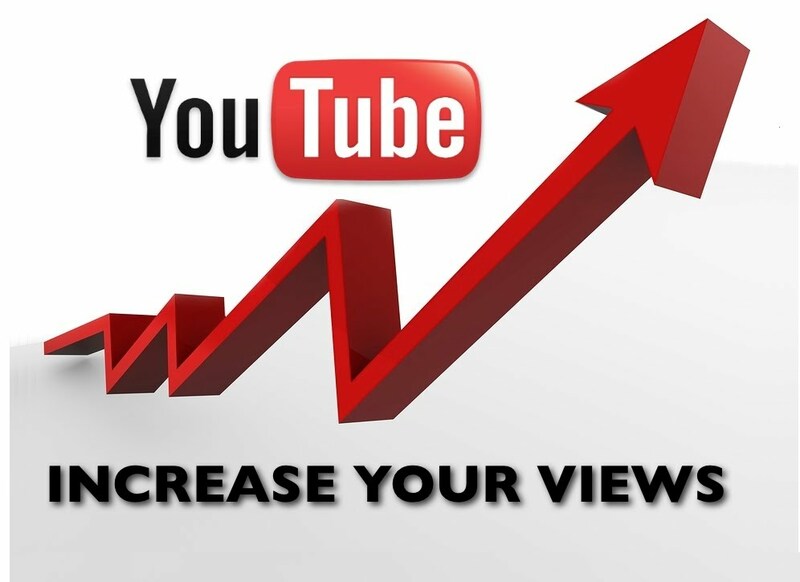 So, in order for your videos to show up in the relevant YouTube searches and subsequently found by the user(s), you need to first optimize your YouTube videos so that they rank higher in these video searches. Search engines cannot look into the content of your videos like they can look into your text content. Hence, it’s up to you to pick strong and relevant keywords for your videos and include them in your tags. At least about ten tags per video is a good idea. And using the YouTube Keyword Tool to find strong keywords for your video is a good idea. Closed captions make your video easier to comprehend and thereby accessible to much a wider audience. And that’s exactly why you should include transcripts in your video. YouTube does give the option of having auto-generated subtitles when a user clicks the “CC” button on the video. But these are often rife with mistakes. So you’ll be safer by having a human-generated transcript for your video. Videos with subtitles automatically rank higher in YouTube searches as well. Use a customized and attractive thumbnail of your own that has 1280×720 resolution and 16:9 aspect ratio for each of your videos. It’s a better option than letting YouTube automatically select a screenshot of your video (which might be grainy or uninteresting). In fact, videos with customized thumbnails easily receive more views. The research on the popularity of videos online has come in and the results show a landslide of positive reception. Hence, any business – big or small – is missing out on prime marketing potential if they don’t make videos as part of their Internet and social media marketing plans. However, while video ads and visual messages are all well and good, limiting your business to marketing messages alone is a bad plan. Rather, you’ll catch more flies with honey (as the saying goes) than with “buy me” signs (as the saying’s been customized). On that note, here are the two types of videos your business needs that will act as the “honey” to drive Web traffic your way: How-To videos, and Product Walkthrough videos. How-To videos are instructional videos. And currently, these kinds of videos have the highest number of searches, impressions, and views online. These videos usually teach users a particular kind of skill or how to do a particular task. For example, videos on “How to Tie a Tie,” or “Recipe for Homemade Lasagne” are how-to videos. And as a business, all you need to do is make a how-to video in relation to your product. For example, if you’re a grocery business, a cooking video using some or all of your ingredients will work; or even a “How to Plant Tomatoes in Your Balcony” video will work. Just make sure that the main purpose of your video is instruction. These kinds of videos are similar to how-to videos in that these are instructional videos too. However, these videos focus on you product: They are product demo videos that show your customers how to use your product for [the product’s] common purposes. With both these videos, you shouldn’t try to sell your product. This kind of video is solely made to help solve a problem or query your audience/customers might have. Videos are the craze of social media marketing right now, and hence, no social media marketing strategy is complete without videos in it. Subsequently, when videos being included in your marketing campaign is a no-brainer, then the next thing you need to consider is what kind of video you should add. Pre-roll videos or teaser videos are generally video ads (or trailers) that show just 15 to 30 seconds of the video. The idea behind this type of video is to catch the viewer’s attention (in that short length of viewing time) and get them interested in what you’re promoting. The main aim of such videos is to get the viewer to click on the video and watch the whole thing. All marketers want their videos to go viral. However, no one has cracked the formula of how to gain this “going viral” phenomenon at will. Hence, the next best bet is to create a video around a topic that is already trending on social media. Then (using the requisite hashtags) publish this video on social media within the time-window of the trending topic. Contact SEO Freelancer Mumbai For Video Marketing @+91-8451924760 or yogesh@seofreelancermumbai.in Now!